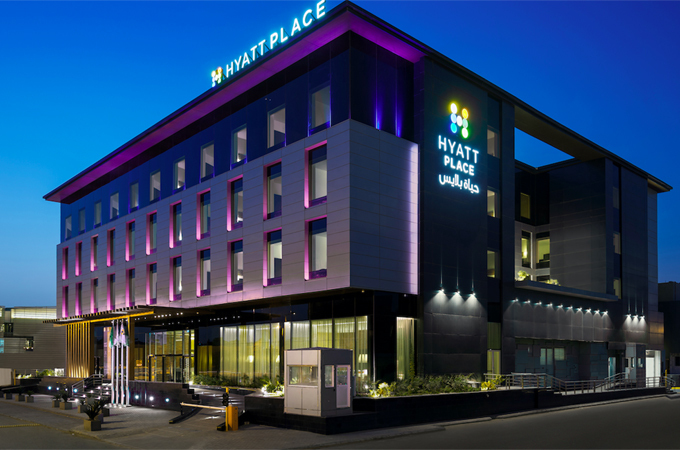 Hyatt has announced the opening of Hyatt Place Riyadh Al Sulaimania, marking the introduction of the Hyatt Place brand to Saudi Arabia. Developed by Saudi Marhaba Hospitality & Tourism Company, Hyatt Place Riyadh Al Sulaimania joins Hyatt Regency Riyadh Olaya, Park Hyatt Jeddah and Jabal Omar Hyatt Regency Makkah, further strengthening Hyatt’s portfolio of brands in Saudi Arabia and overall brand footprint in the Middle East. Later this year, Hyatt House Jeddah Sari Street is expected to open, marking the introduction of Hyatt’s extended stay brand, Hyatt House, to Saudi Arabia. The Hyatt Place brand is rooted in the provision of stylish, comfortable and seamless experiences for guests, accommodating lifestyles and familiar routines with a promise of purposeful service and an uncomplicated stay. Centrally located in the upscale metropolitan neighbourhood of Riyadh, the capital city of Saudi Arabia, Hyatt Place Riyadh Al Sulaimania provides the perfect location for casual leisure and business travellers and is close to many local attractions, including Thalya Street and Olaya business district.